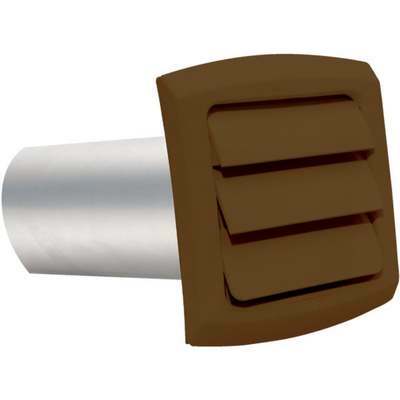 Professional series, louvered cap with aluminum pipe. Ideal for use in clothes dryer, kitchen, and bathroom exhausts. Louvers are nonstick, rounded, reinforced, and have specially designed ends to prevent them from coming out easily. UV-resistant plastic can be painted to match exterior.